It didn’t take long into the New Year to find another toy that needs to be recalled and it won’t be surprising to know the reason, a violation of the lead paint standard. 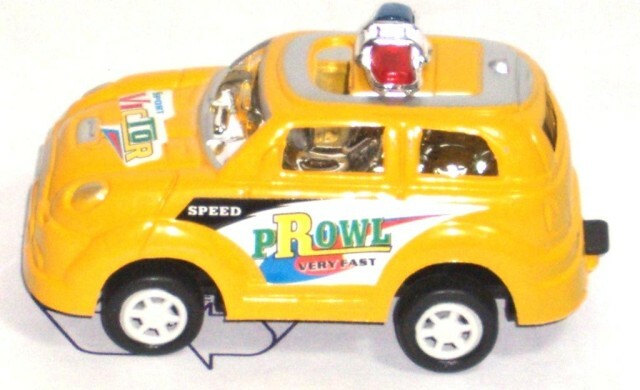 The maker of the toy car, TDI International, cooperated with the CPSC to recall about 150 High Speed Pull Back Toy Cars because the surface paint contained excessive amounts of lead paint. No injuries were reported, but any injuries wouldn’t be apparent for quite some time so it’s better to take them off shelves. The toys were made in China and they were sold at small retail stores in Texas during the months of June and July 2008. The usual “what to do about it” is in effect. People who bought the toy cars can contact TDI International for a refund or a replacement toy, but the toy was only two dollars. I don’t know why the importing companies don’t open up an imported toy and test them before they make them available to buy. Is it really that tough to test a toy before offering them? Before 2006, it may not have been necessary, but this has been going on for quite some time. They should be testing the toys they get, especially ones from China, and they should be dealing with the companies they do business with personally when these issues arise. Read the CPSC report here.